I really don’t like store-bought, gluten-free bread. It’s gross. It always smells a little sickly sweet, and tastes like someone dumped a bunch of sand in the dough. But this Whole Foods All Natural Gluten Free Sandwich Bread is actually tolerable! 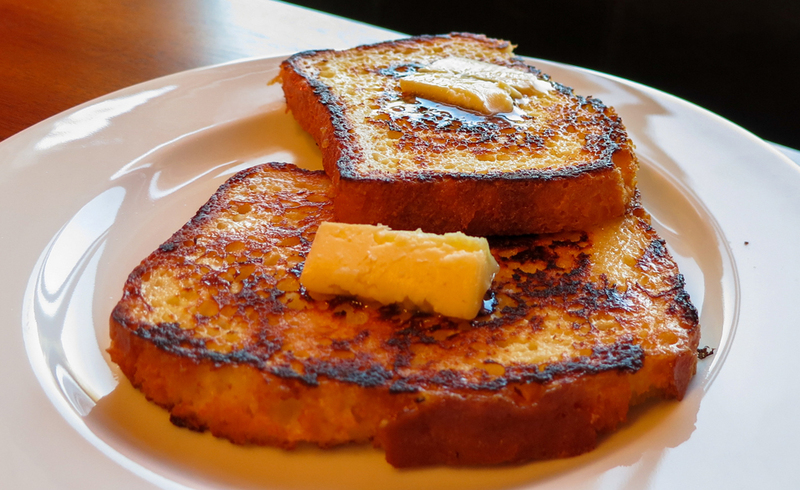 Then I used it to make french toast…and it was damn good. Mix together eggs, sugar, salt, and milk. Dump it into a shallow pan or bowl that can fit a slice of the bread. Coat a pan or griddle with the butter over medium-low heat. Soak each side of the bread (only soak as many as you are about to cook) in the egg mixture for a few seconds, then transfer to the pan/griddle. Heat until golden brown, then flip and do the same for the other side. Smother with butter and sprinkle dextrose on top to taste. ***I didn’t use any maple syrup since I’m still on the elimination diet, but it was still really good without it! This entry was posted in Recipes and tagged dextrose, elimination diet, food, french toast, fructose malabsorption, gluten free, whole foods all natural gluten free sandwich bread by nosugarlessgum. Bookmark the permalink. We are just starting this journey. May I ask why the Dextrose? I have never used any sugar in french toast before. You certainly don’t have to! I’ve seen some recipes that use it and others that don’t. I don’t use any unnecessary sugar anymore but this was one of my earlier recipes and I couldn’t get enough sugar back then!